like the one shown on the left of this page. On the menu's simply click on the heading that you want to either expand the menu options or go straight to the selection. is the most universally cross browser freindy system, followed by Windows Media streaming and then Flash Video streaming. camera feeds along with many other JAVA based applications. 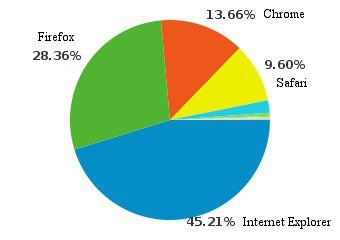 JAVA is very common and works on all browsers. Windows Media content from any site. to use all the menus on Camsecure and many other sites too so its a really usefull add on to have. need to do and if asked save it as a permanent rule so you wont be asked again. case then theres not much you can do - except log on to Camsecure at home and enjoy the live streaming camera feeds from there. number on request so they will open it for you. just let your browser prompt you for the plugin - download. where an Active X is used e.g. for specific devices so you can try them out before committing to purchas.,Aa brief explanation follows. download a specific Active X control for that clubs equipment and notification and instructions will be posted on that clubs page. Jumbled Display In Your Browser? Occasionally you may find that on some computers the text will appear jumbled and mixed together and overlap images etc. Absolute HTML commands to position vide screens and other page elements correctly in position. Large/120 DPI, set it to Normal/96. This video tutorial can also show you how to adjust your DPI settings. setting. If it is set to Large/120 DPI, set it to Normal/96 DPI. This video tutorial can also show you how to adjust your DPI settings. also by mobile devices like Blackberry, iPhone and other mobile devices. support, Over 98% connect via broadband.